Criminals do not stand still. Every day they think of new ways to gain access to our homes and businesses. They seek out opportunities to exploit public areas and try to do so without being recognised. Identity is a criminal’s weak spot and something they will try to obfuscate. This is why many surveillance systems aren’t effective: they do not keep up with the ruthless ingenuity of the people they try to capture in their footage. Good security requires constant vigilance and innovation. This is why Hikvision has become a world leader in the surveillance technology world. Established in 2001, the brand is consistently ranked as among the planet’s top surveillance companies, including achieving the No.1 position by IHS Markit reports. But this shouldn’t be a surprise: of Hikvision’s 26,000 employees, nearly half are focused on Research and Development (R&D). 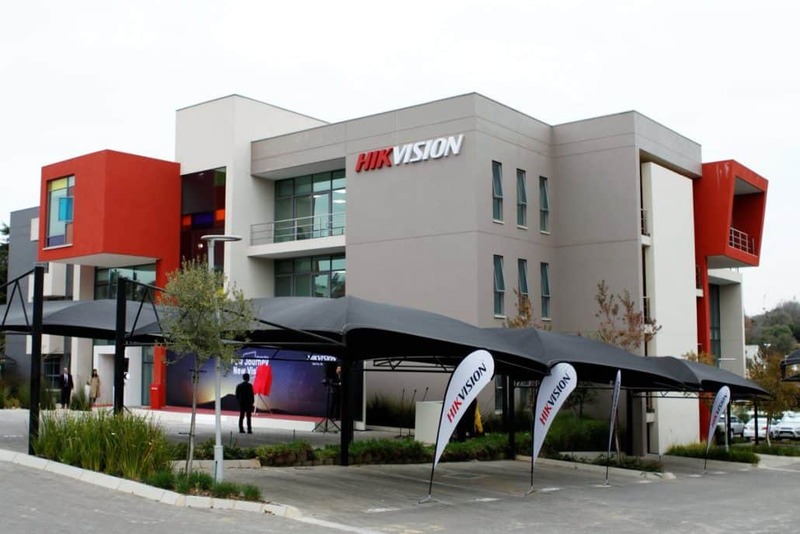 The company invests between seven and eight percent of its annual sales revenue on research and development.Recognising them as a highly effective brand, Itec South Africa have incorporated Hikvision into their product offering through an agreement with Sensor Security who is a leading importer and distributor of electronic security equipment in Southern Africa and the largest stockist of HikVision products nationwide. Serving the market since 1996, Itec is a multi-disciplined business technology provider with a focus on business services, office automation and physical security products. The inclusion of Hikvision into its stable of products through Sensor Security reinforces Itec’s commitment to provide only the best products at the best value. “We have built our reputation on trust, quality and reliability. It’s not just about having the best, but also about delivering value for our customers’ investments. When we find a brand that can offer this and combine with our own expertise and values, it’s an exciting opportunity. This is what Itec sees in Sensor Security as distributor and Hikvision. They are a company with the same values: quality, consistency and a customer-first attitude. It’s fantastic that we can now include their excellent products in our own offering,” said Gavin Meyer, Executive Director of Itec South Africa. Hikvision stands aside from its competitors through diligent investment and with an eye on the future. It deploys the latest in digital technologies, designed to operate reliably in any business environment, packaged in high quality and resilient units. Its systems are used globally, from the Dun Laoghaire Harbour in Ireland to Milan’s Malpensa Airport. South Korea’s capital Seoul relies on Hikvision as part of its Safe City project and the Bank of India have chosen Hikvision to help secure its branches. Other clients include the Philadelphia Recreation centre in the USA, one of many satisfied customers in over 150 countries. Hikvision has been a pioneer in the video surveillance industry’s revolutions in digitalisation, networking, and intelligence. It is advancing core technologies such as audio and video encoding, video image processing, and related data storage, as well as forward-looking technologies such as cloud computing, big data, and deep learning. Using its exposure to numerous different industry verticals, Hikvision’s solutions are tailored to meet unique demands in different businesses, from commercial to industrial. It also has a strong foothold in the residential security market, blending smart technologies to help create the homes of the 21st century. Hikvision is the largest security manufacturer in the world. Listed on the Shenzhen Stock Exchange, it has dozens of branches across the world and many more brand partners. Hikvision continues to hold the number one market share position in virtually all individual equipment categories, including network security cameras, analogue and HD CCTV cameras, backend video surveillance equipment and Linux-based recorders. High levels of R&D: Spending 7 to 8 percent of its annual sales revenue on R&D, Hikvision also has over 13 000 engineers focused on research and development. The globe’s leading security development presence: Centered at its Hangzhou headquarters, Hikvision’s R&D teams operate globally, including R&D centres in Montreal, Canada and Silicon Valley, California in North America, Liverpool in the UK, as well as Beijing, Shanghai, Chongqing, and Wuhan in China. A product leader across all categories: The Hikvision brand is recognised as the largest manufacturer of security equipment and services across nearly all categories, including network security cameras, analogue & HD CCTV cameras, backend video surveillance equipment, etc. Robust support of different verticals: Hikvision’s systems are used by all types of industries, including Brazil’s Furnas Electrical Power Plant, Germany’s Central Station, the Bird’s Nest stadium in Beijing and Universal Studios in the USA. End to end technology: Not only does Hikvision manufacture top cameras, but all the support systems and software as well. From DVRs to storage to applications, it develops, oversees and approves the entire security stack. Flexible solutions: From turnkey products that scale easily to specialised bespoke designs purpose-fit for any customer, Hikvision’s security solutions match countless use cases. Impressive scale: Hikvision’s solutions can be deployed to suit any size of operation, from a small shop to a site requiring hundreds of cameras. Its iVMS-4200 Client Software can manage up to 256 camera groups, with 64 cameras in each group. Cutting-edge technologies: The latest developments and breakthroughs are tested and enhanced by Hikvision’s engineers. From cloud systems to intelligent detection – such as thermal cameras that can anticipate a growing fire – its cameras are intelligent through the best technologies. A presence everywhere: Hikvision extended its business to smart home tech, industrial automation, and automotive electronics industries — all based on video intelligence technology — to explore channels for sustaining long-term development. For more information about our Security solutions, contact us.